What does New Year's Eve Eve mean? 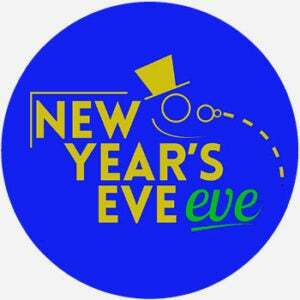 New Year's Eve Eve is the day before the final day of the year, or December 30th in the Gregorian calendar. Those in Las Vegas should book their hotel on New Year’s Eve Eve (December 30) to get the best deal. As the clock struck 2:18 p.m. — a nod to the coming new year — 10,000 brightly colored rubber balls bounced, bounded, and ricocheted as they cascaded from nets hung high above the second-floor balcony at Imagination Station...Almost immediately, a rush of cheering children swarmed to scoop up the colorful toys. It was the “New Year’s Eve Eve” celebration at the science center downtown on Saturday, which drew families from around the Toledo area to ring in 2018 a little early and see science at work. Where does New Year’s Eve Eve come from? Since the 1300s, eve has referred to the evening before an event, usually a holiday. New Year’s Eve (December 31) names the day before New Year’s Day (January 1), making New Year’s Eve Eve the day before New Year’s Eve (December 30). While New Year’s Eve has been evidenced since the 1400s, New Year’s Eve Eve has only been recorded since at least the 1980s. The phrase originates due to the global and long-running popularity of New Year’s Eve, with people busy celebrating—and companies capitalizing on—the festive time between Christmas and New Year’s as students are on break and employees off work or on vacation. People may observe New Year’s Eve Eve to get in the spirit ahead of New Year’s Eve. New Year’s Eve Eve is also a time many people choose to prepare food and decorations or solidify plans for their New Year’s Eve parties. Who uses New Year’s Eve Eve? English-speakers mark New Year’s Eve Eve around the globe, often as a fun occasion to “pre-party” for New Year’s Eve and extend the festive mood. People may playfully wish someone a Happy New Year’s Eve Eve in colloquial speech or writing on December 30. Businesses may promote New Year’s Eve Eve events, deals, or specials, given the celebratory demand around New Year’s Eve. New Year’s Eve Eve may occasionally be used to refer to Chinese New Year or the Jewish New Year, though this use is less common as these observances often involve traditions that aren’t as associated with drinking and partying like Western New Year’s Eve.